This mediacampagne’s goal was to make people understand one thing: you do have something to hide. We asked 3 artists and 3 thinkers to team up and create new iconic images that would reach people on an emotional instead of on a rational level. We especially wanted to bring across the concept of ‘coveillance’, the form of surveillance where citizens monitor each other, often without realizing it. Through social media, and with devices like the Google Glass, we are increasingly sharing not just out own life, but that of each other. Privacy is not just an individual matter, it’s a social responsibility. 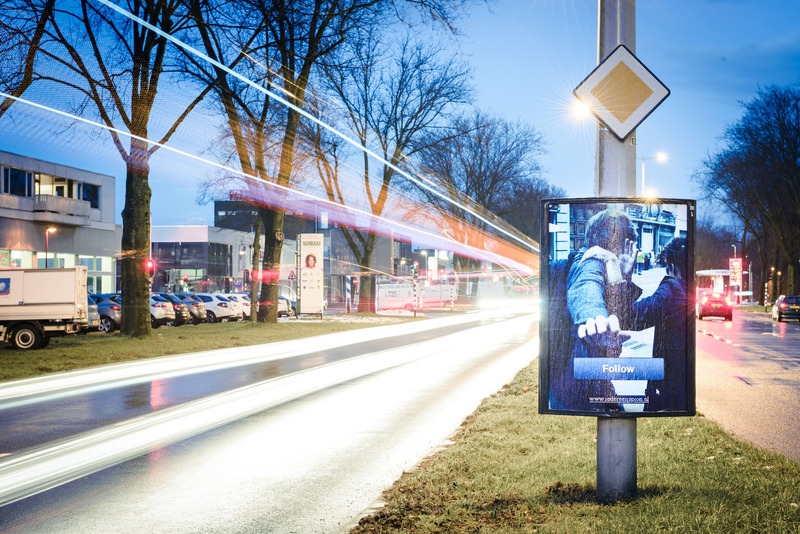 In our quest to reach the everyman, we decided that we wanted to show these new icons on the streets of Dutch cities. Artist and designer Ruben Pater and Hans de Zwart, the director of digital rights organisation Bits of Freedom, created 3 iconic images that reframed social media as a source of unwanted attention. Classic surveillance has the CCTV camera as its icon. To emphasize the rise of coveillance, artist Geoffrey Lillemon and journalist Thomas Hogeling (who works for De Speld, a satirical news website) wanted to update this classic icon to the modern age. Urban screens all over the Netherlands displayed their voyeuristic faces, which moved like CCTV camera’s. Artist Yuri Veerman and journalist Dimitri Tokmetzis, who later went on to write the book “you do have something to hide”, were asked to create an online presence that would make people talk. 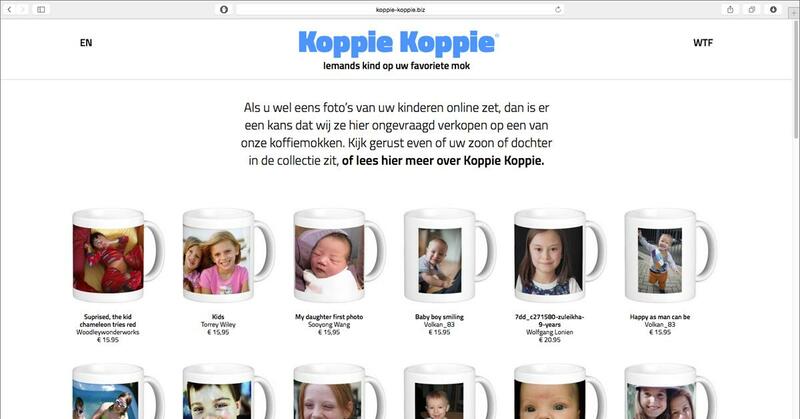 And how they delivered: they created a webshop that sold mugs with images of children on them. The twist: these pictures came from photosharing Flickr, where unwitting parents often share pictures of their kids under a license that allows commercial re-use. The website got a lot of attention by being featured on The Correspondent, which ignited a social media fire. Lots of parents wanted to see if their child was on one of the 100 mugs. Through the work of Dimitri and Yuri the project reached international press such as blogs (including mega-blog Matter), foreign newspapers and even CNN. As the creative lead of SETUP I developed the plan to focus on the concept of ‘coveillance’, and create a media campaign. As the project lead I helped the participants understand the goals and possibilities, and guided the proces. The main bulk of the work was done by Niels Craens, a designer who already had some experience with activist and urban campaigning. Communication was handled by Frank Jan van Lunteren. Special thanks goes out to Dimitri Tokmetzis, who got the project a lot of attention through an article on the Correspondent, and later got the attention of Matter and CNN.